Oh man, looking back at those wonderful Shimmer swatches Manon did I really see some musthaves! This is Shimmer Taylor, and there's another glitterbomb in that post :). A subscription box filled with holographic shades. How amazing is that?! I got to review one last year and it was full of amazing shades! Last year I did a series of posts on subjects regarding nail care, The fun twist was that I also introduced you to the Dutch words for each subject ;-). Hmmm, lavender pink holo polish, aren't you a stunner? This is Too Fancy Lacquer Orchadia made exclusively for Color4Nails. In my post I also included Summer Flames which was made for Edgy Polish. Still one of my favorite nail art looks! 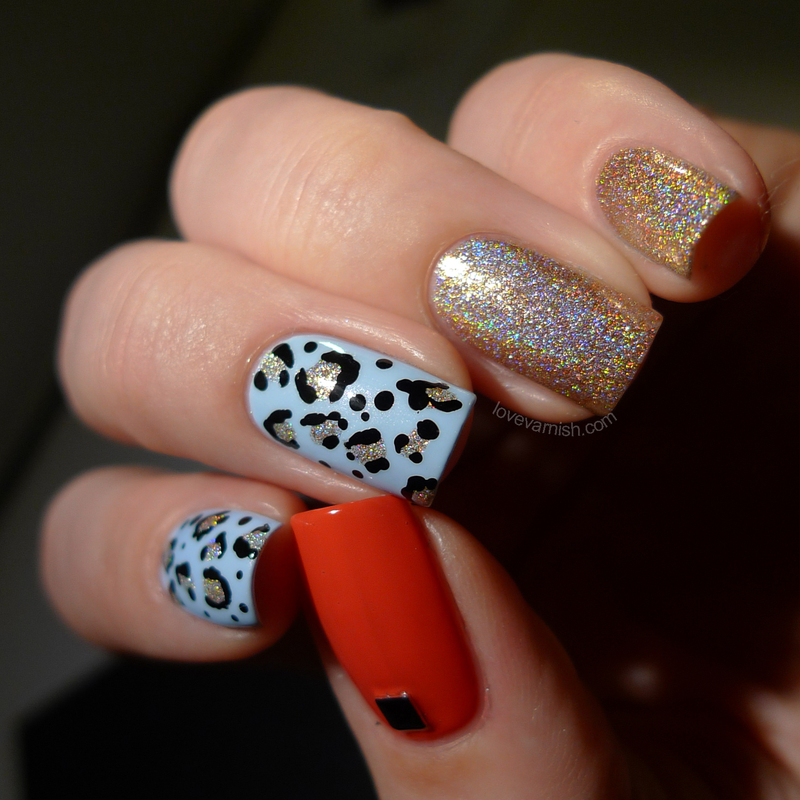 Leopard print is so easy to create yet makes a great impact, especially paired with that gorgeous golden holo. Need to wear it again soon! Wow, there are so many gorgeous polishes here!! Lavender holo is beautiful! TFL Orchadia is a stunner! Orchadia is still one of my fav Too Fancy shades! So much good stuff last year this week!